This is very time consuming and can be reduced by 95% with this module! You execute the globalreload command in your CLI where your root folder of your project source is. 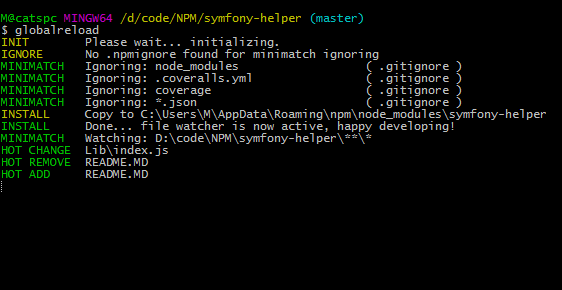 First the script copies all your source files to your global npm root folder, so your source files are in sync. You let the script do his thing and just develop away in your source files. The filewatcher will check for changes including added and deleted files and makes sure everything stays in sync.